The new exhibition is now open – a photographic display of Leisure and Pleasure in Herne Bay. There’s a great selection of photos, four of which will be available as postcards, and we’re asking you to vote for your top three from the rest. The most popular eight photos will join the volunteers’ choices in next year’s calendar. Please note that next year’s exhibition will be something along the lines of “Natural Herne Bay”, so start taking photos for it now! There’s also the chance to see the entries for the children’s Deco Dress Design competition. The museum is closed today, but that doesn’t mean it’s all stop. Yesterday was the last chance to view the Deco Dress exhibition, so this week everything related to that exhibition will be taken down, including the window display. 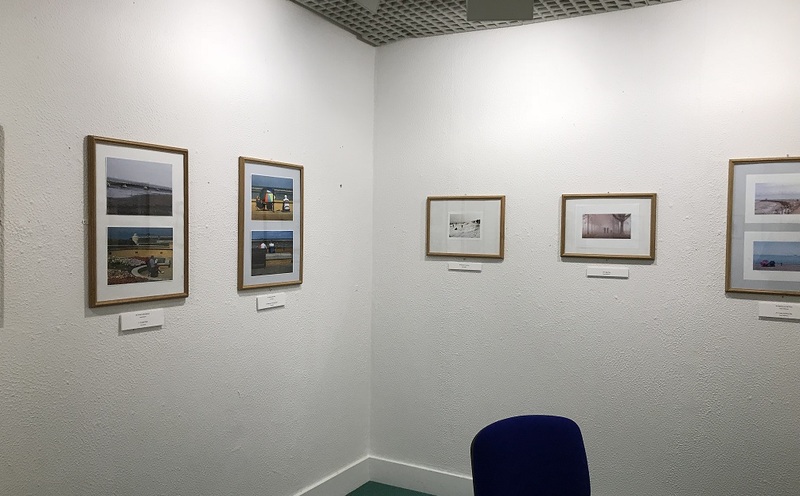 The photos submitted for our Leisure and Pleasure in Herne Bay are being sorted and framed, and will be hung in the gallery this week ready for the start of the exhibition next Saturday. Volunteers are choosing their favourites to be made into postcards, and voting slips are being prepared for you to choose your favourites to join them in the 2019 calendar. The new window display is being prepared. And there’s still all the other work that goes on in a museum and gift shop – checking stock, organising the rota, working on the rest of the exhibitions that are scheduled for the year, developing the outreach programme to involve families in the community, developing marketing and publicity, and carrying out building maintenance, to name just a few of the jobs. During the next week, the rest of the museum is open as normal, but there will be no access to the front exhibition room. And of course our gift shop is open, with a wide selection of gifts and other items, many locally sourced. From Saturday, we’re looking forward to revealing the entries for the photo exhibition and competition. Please come and vote! 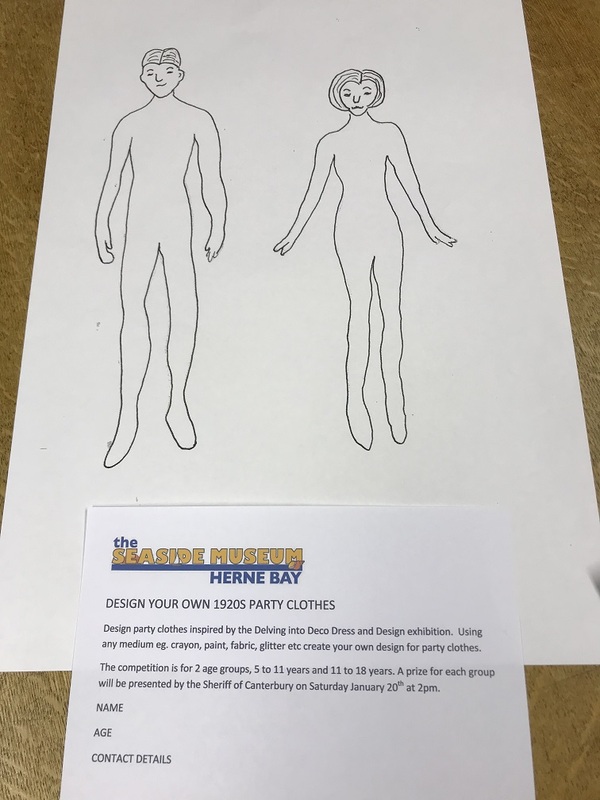 Entries are now being accepted for our children’s competition: design party clothes inspired by our 1920s exhibition. 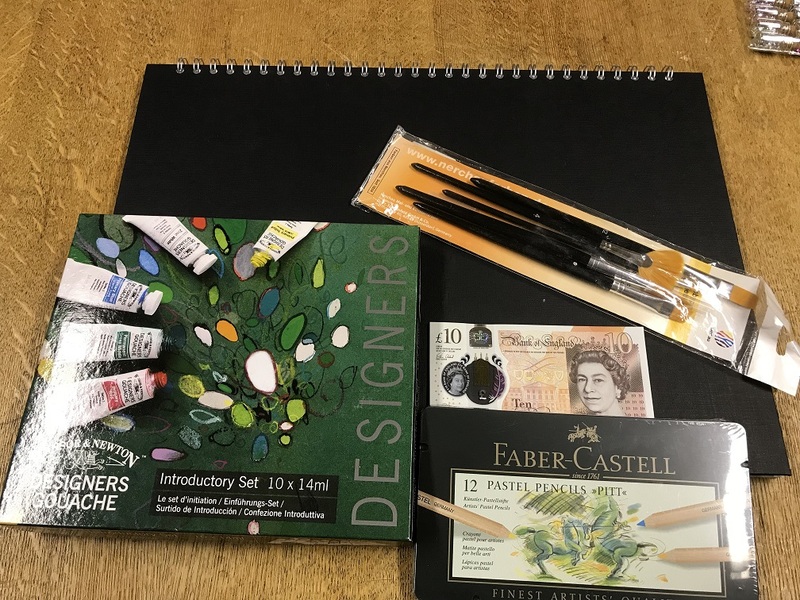 Entry forms and details can be collected from the museum, and we have two great prizes – one for the primary age group (5-11), and the other for secondary age group (11-18). Our next exhibition, Delving into Deco Dress, is currently being set up, and will be open to the public from Saturday 18th November. Saturday 18th November Launch of our children’s competition: Design your own party clothes inspired by the 1920s. 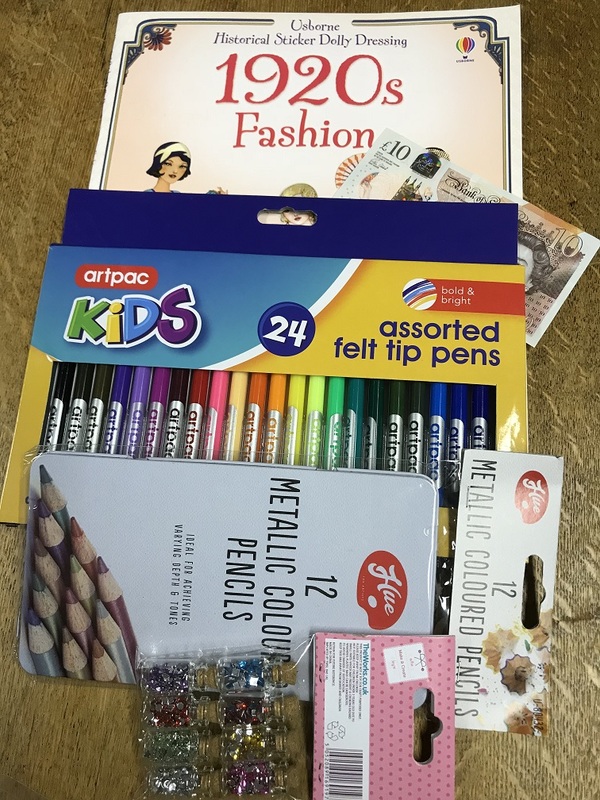 Children are asked to design party clothes inspired by the Delving into Deco Dress and Design exhibition using any medium – crayons, glitter, material, paint etc. Prizes for the best designs. Competition closes Sunday 14 January 2018. The exhibition is in conjunction with the Kent Costume Trust. Each year we hold a photography competition and exhibition, and produce a calendar from some of the wonderful photos. 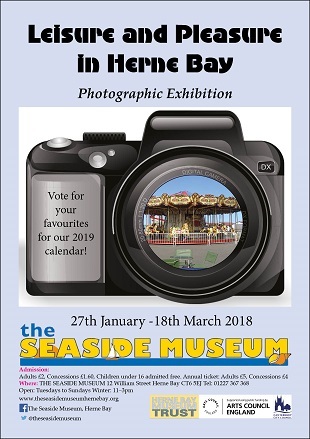 The next theme, for exhibition in 2018 and a 2019 calendar, is Leisure and Pleasure in Herne Bay. Please look through your photos, spread the word and pick up your entry forms from the museum. Entry forms and Terms and Conditions for our next photography exhibition and competition are now available. Leisure and Pleasure in Herne Bay seeks to celebrate the many ways that our locals and visitors can have fun around the town. 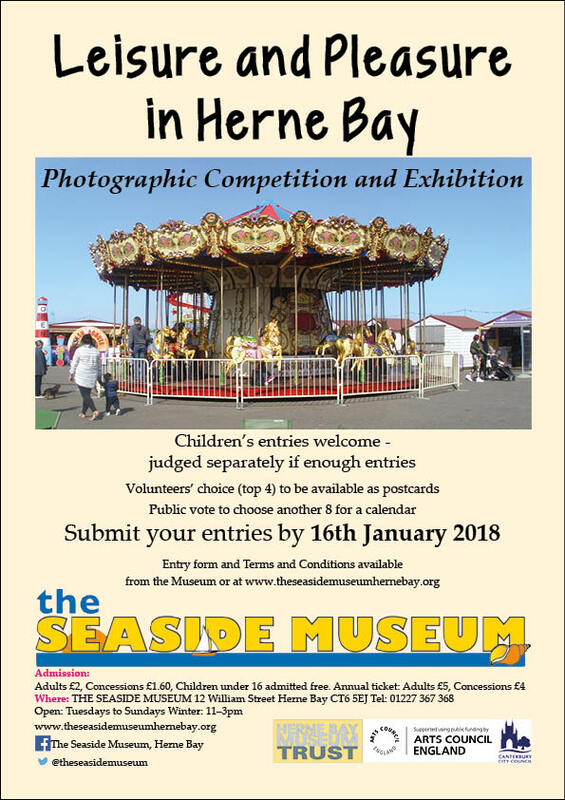 Entries to be at the museum by 16th January 2018. Once again there will be a chance to vote for your favourite, to be included in our next calendar. It is your responsibility to obtain any necessary permission from anyone featured in your photo!